Courtesy of Ivester Jackson Distinctive Properties. Here’s your opportunity to own in an established, well maintained neighborhood walking distance to shops & restaurants! This former model home is located on a wonderful lot near the community pool with a pond view from the back yard. Enjoy the view from the hot tub on rear deck made from composite decking. Rocking chair front porch leads into the home with formal areas, hardwoods, soaring ceilings with moldings. Over the 3-Car garage is a large bonus room with separate staircase. Put your own stamp on it in this great neighborhood that holds its value! *Update! The home was taken off the market so the Seller could do some updates. The interior and exterior has been professionally painted. All hardwoods beautifully refinished! Don’t miss out! Please, send me more information on this property: MLS# 3472363 – $464,900 – 17028 Pennington Drive Unit 28, Huntersville, NC 28078. 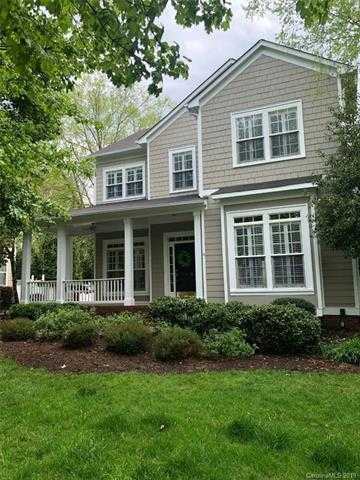 I would like to schedule a private showing for this property: MLS# 3472363 – $464,900 – 17028 Pennington Drive Unit 28, Huntersville, NC 28078.